Last week, Google announced an update coming to Gmail, and just a couple days ago the APK for the update leaked, so you could download and install it manually if you really wanted. 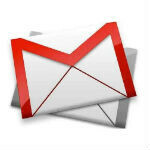 Well, if you were patient, today is your day, because the Gmail update has now gone live for everyone. Additionally, an update for Google+ Hangouts has hit the Play Store. As we have covered before, the update for Gmail brings the new Inbox with automatic sorting of messages into certain categories: Primary, Social, Promotions, Updates, and Forums. The update also adds profile images so you can more easily see who a certain message is from. The Google+ Hangouts update is a more minor update which just fixes audio issues during video calls on some Gingerbread devices, improves performance, and fixes an issue where you might have received duplicate notifications. Unfortunately, like the Gmail app, the Google+ Hangouts update isn't being made available to everyone right away. The rollout is starting today, no word on how long it will take to make the rounds. I kinda wish Hangouts had been around since the beginning of Android. The word "FaceTime" is to video chat, what the word "Google" is to internet searches. So many of my friends who have iPhones aren't willing to give Hangouts, Qik, Oovoo, or any other video chat a try because they just want to FaceTime. It would be cool if Apple made FaceTime cross-platform so we could ALL chat with each other. The color coding will take some getting used to but I wished they'd add the ability to delete items in the trash folder. IOS Gmail has it so why not Android? The feature I've been waiting for is a 'select all unread' option. Sometimes I just need to clear out that PA tips label. Am I the only one that thinks this update makes it look more Windows esc? I mean the square tiles and stuff.